All Wednesday night I felt the Holy Spirit flowing through me binding demonic spirits that are at work in the world. I believe they are working through a deeply deceived Obama administration and a demonic stronghold within the United Nations. These spirits are also at work in the other nations such as France and the United Kingdom who voted in support of this resolution. I was aware that in the spiritual realm this resolution was going to be used by Satan to further his purposes in the demonic strongholds based on the lies planted in the heart of Mohammad. Later in this article I’ve included the actual wording of the resolution–and the analysis of why it is so destructive–that was sent to me this morning by Judy from Alaska. 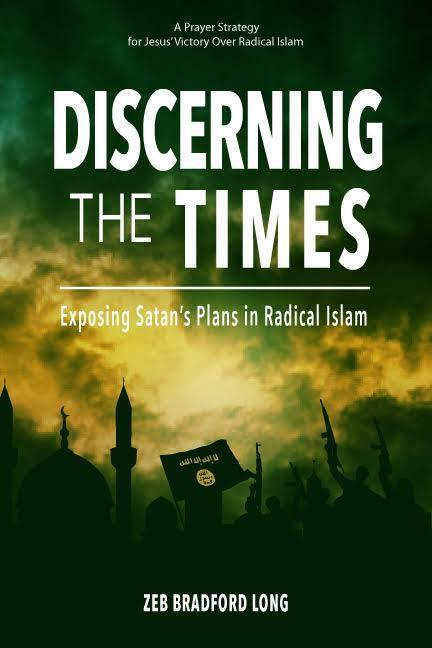 Once you grasp the four schemes of Satan in Islam, you will understand the true nature of the Arab/Israel conflict and understand why these actions by the UN and the Obama Administration are playing right into Satan’s plans with the potential unleashing of terrible evil in the world. Replacement of the way of salvation given by God revealed in the Old and New Testaments with the deception of Islam. The quenching of the winds of the Holy Spirit within the House of Islam. The establishment of the Islamic Caliphate which is the mature expression of the stronghold of Radical Islam with the spiritual and human means to accomplish the above three schemes of Satan. In my midnight prayer times, in that last several hours, I saw this UN Resolution enabling Satan to put in place what was needed to move forward with each of the above four schemes. In this time of prayer, I saw Muslims massacring Jews at the Western Wall in the Jewish section of Old Jerusalem and massacring Christians at the Church of the Holy Sepulchre and at the Garden Tomb. When I had these vivid dream visions I was puzzled that they were taking place in the City of Jerusalem. I had thought that the UN Resolution had to do with Jewish settlements out in the disputed areas which have always been a problem. Then, to my horror, I read the text of the resolution and found that this vision was, unless prevented, the outcome of this action that had declared even the Western Wall and the Jewish Community illegal. How this relates to the Christian holy sites I need to do more research to know for sure, but that is what I saw. Muslims were carrying out Satan’s plans for genocide of Jews and Christians starting in Jerusalem. I got up the next morning with the overwhelming urgency to Issue a call to intercessors to step into the gap. Before going deeper into the analysis of the UN Resolution, which I hope all of you will spend time understanding, I feel that I should give you several prayer points. Then, go study the issue and see if this guidance as to how to pray is not confirmed by the facts. Pray for the demonic cloaking that is hiding Satan’s plans in the Obama Administration and the UN to be clearly exposed to the world and to us as intercessors so that these plans may be blocked. Pray that the links in the chain of events that Satan has put in place through this action of the UN will be broken, and that these plans will not be able to come to completion. At the leading of the Holy Spirit and in the unity of the Faith with one or two others in whom Christ dwells, command that the Kingdom of Satan will be divided and that confusion will break out within the camps of all those in league with Satan’s plans. Pray that all those who are drawing their swords against Israel and the people of God will war against one another. To the guidance that I received as to how to pray I would add the following observations and prayer points from a friend who reviewed the Resolution from a legal as well as a spiritual perspective. The manifest legal threat to Israel of a resolution declaring a state of “illegal” possession of territory. This becomes legal justification for all sorts of mischief and sanctions regimes, which is where this is likely heading. The unjust irony of a resolution declaring legal rights in territory to “Palestinians” who never had lawful sovereignty over what was formerly Syrian and Jordanian territory. In other words, one “occupation” deemed to be unlawful is declared to yield to another no less unlawful. It is a lie spread upon a lie. Just as the nations fail to comprehend the death cult of Islam, they fail to comprehend that God is gathering them in for judgment on their prideful gathering against Israel. Ask God for a frustration of purpose against those who would isolate Israel diplomatically and economically, that this stone would roll back against them. Ask God after Jonah over Nineveh, for a move of the Holy Spirit that leads to repentance on a massive scale with judgment deferred. Ask God not only that the cloak of the demonic be removed, but for a lifting of the veil regarding God’s imminent judgment upon them, that the nations comprehend the present move of God in judgment and mercy. 8 ‘Therefore wait for me,’ declares the Lord, ‘for the day I will stand up to testify. [c] I have decided to assemble the nations, to gather the kingdoms and to pour out my wrath on them— all my fierce anger. The whole world will be consumed by the fire of my jealous anger. On Friday afternoon, as the Sabbath drew near (already begun in Jerusalem, and with the Jewish festival of Hanukkah waiting to open at its close), the United Nations Security Council passed a resolution laying down as “international law” a number of severe pronouncements, pronouncements before which nations will henceforth be faced with grim choices so far as their views and dealings regarding Israel and Jerusalem are concerned. Next year marks 50 years since June 1967, when, following expressed intentions of Egyptian President Nasser to drive the Jews into the sea, Israel responded by striking first. When the smoke cleared six days later, a miracle had occurred. The armies of Egypt had been driven out of Gaza and the Sinai, those of Jordan out of Jerusalem, Judea, and Samaria, and the Syrian army had fled the Golan Heights. For the first time in well over 2000 years, Israel was in control of her ancient homeland, Judea and Samaria—the “Mountains of Israel”—granted by divine Covenant for all time to the seed of Jacob. Israel also controlled Jerusalem, including the Temple Mount and Western Wall; the Old City, with the Jewish Quarter (where Jews had lived for a thousand years before being expelled by the Jordanian Army in 1948), and the Mount of Olives. The hundreds of Jewish communities established within the territories taken from Jordan, Egypt and Syria were labeled “settlements”—as were the Jewish suburbs established in south, east and north Jerusalem. Shortly after the war, Israel annexed the areas of northern, eastern and southern Jerusalem taken during the war. Although never recognized by the international community, she has since built up neighborhoods in these areas which are large and flourishing, connected by thoroughfares and train lines. After Friday’s vote, these are now termed “illegal.” Israel “the occupying Power,” is a perpetrator of “negative trends on the ground”, which must immediately be reversed. In other words, the nations have issued a legal demand that Israel pack up its bags and leave the Western Wall, the Temple Mount, the Jewish Quarter of the Old City of Jerusalem, French Hill, Ramat Eshkol, Ramot, Gilo and Armon Hanatziv – all which lie in East Jerusalem. Click here to view the full prayer letter. The resolution being considered at the United Nations Security Council regarding Israel should be vetoed. As the United States has long maintained, peace between the Israelis and the Palestinians will only come through direct negotiations between the parties, and not through the imposition of terms by the United Nations. This puts Israel in a very poor negotiating position, and is extremely unfair to all Israelis. But then, on Friday morning, four nations New Zealand, Malaysia, Venezuela and Senegal, chose to resurrect and re-submit the resolution. Friday afternoon, it passed into Law, with 14 nations voting “Yes”, and the United States, at the direction of President Obama, abstaining. Any of five nations, England, France, Soviet Union, China or the U.S. could have vetoed it. In fact, it was the first time that such a bill has come up in the Security Council in his eight years of Presidency that Mr. Obama has not called for a veto. After the vote, Israel’s Ambassador Danny Danon addressed the chamber, calling it a “dark day for this council”, which, he said, exhibited the “peak of hypocrisy” in condemning Israel “for building homes in the historic homeland of the Jewish people” even as thousands were being massacred in neighboring Syria. Israel categorically rejects the despicable anti-Israeli resolution at the UN, and will not adhere to it…While the Security Council does nothing to prevent the massacre of half a million people in Syria, it is shamefully singling out Israel—the only democracy in the Middle East…The Obama administration not only failed to defend Israel from this harassment at the UN, it cooperated with it behind the scenes. In Israel it is widely suspected that the presentation and resurrection of the resolution, along with the US abstention, were not without collusion all along of the outgoing Obama administration (the PM’s office in fact claims to have evidence to this effect). From his severe lecture to Israel in the speech in Cairo shortly after taking office, to the present, Israeli settlements have been ever been in the forefront of Mr. Obama’s antipathy towards Israel and our Prime Minister. Shortly after the vote, Mr. Trump wrote, “As to the UN, things will be different after Jan. 20th .” But Israel is concerned about the coming three weeks before then. Sec. of State John Kerry has promised soon to deliver a speech setting out principles or parameters for a Palestinian state. The fear is that following Friday’s victory (or, perhaps, as a continuing move of strategy), the Obama administration will, within these three weeks, place those “parameters” into yet another resolution, which could then be placed before the Security Council for adoption before he leaves office. So what does all of this mean for us? How are we to pray? There will likely be few differences “on the ground” for the time being. But a new level of groundwork has been laid, in which Israel will continue to be alienated by the nations. The BDS (Boycott, Divestment and Sanctions) movement will be given new encouragement. Since Israel is now “officially” outside the law, the door is open for more discrimination, more terror, more harassment, and perhaps eventual sanctions from the UN. On the other hand, regarding the settlements, the plan could backfire—Israel continues to have the most conservative government in her history. In reaction to the UN vote, there is no doubt that plans for building many new homes in East Jerusalem will accelerate; and there are already calls to go forward with annexing large blocks of settlements in the territories. However, we see something far more sobering reflected in the vote last Friday. The year 2018 will mark 70 years since Israel’s re-establishment as a nation. These next two years will be a critical time. Nations are more and more being called into a position of “making choices”—choices related to their alignment with God’s people, nation and land. We are in a season of lines being drawn, of gauntlets being thrown down. Those nations which choose to align counter to God’s eternal Word regarding Zion will find themselves headed into a season of darkness. Not that there will not be places of light within those nations! God’s remnant will shine brightly and lead many to the light (Daniel 12:3). Nor do we believe that it is already too late for believers in any nation, whatever choices they may have made, to pray for mercy, for a reversal of direction in their nation. Nevertheless, we have entered a period when nations will be required to make choices which will determine direction—of moving into blessing or under a curse. And Jerusalem will be the dividing line. The following prayer points are based on those offered by Avner Boskey in the above-mentioned prayer letter “Crossing the Line” (which may be read in full here). For repentance and clear revelation for the leaders of all countries who have voted for this Resolution. For the believers around the world, that they might understand what is happening to Israel and what judgment is coming on the nations of the world as a result. For the leadership of Israel to receive divine wisdom and strategies on how to defend the Jewish state and respond pro-actively. For the protection, strengthening, revelation and salvation of the Jewish people, and that they may lean on Him who can keep them from all evil and all destruction. For some who do not usually receive Discerning the Times, we want to give you the opportunity to continue to receive updates on this and other current topics. You can sign up for the Discerning the Times newsletter here. 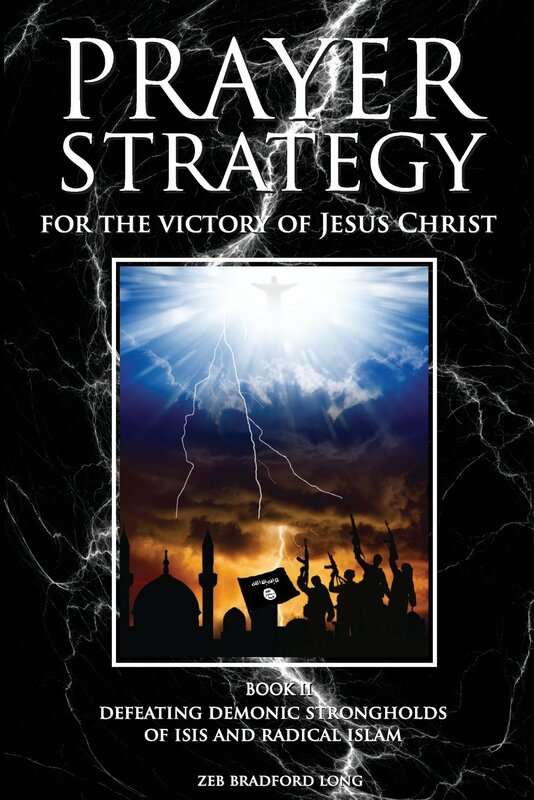 Book I in the series is A Prayer Strategy for Jesus’ Victory Over Radical Islam: Discerning the Times. It lays out Satan’s strategies. 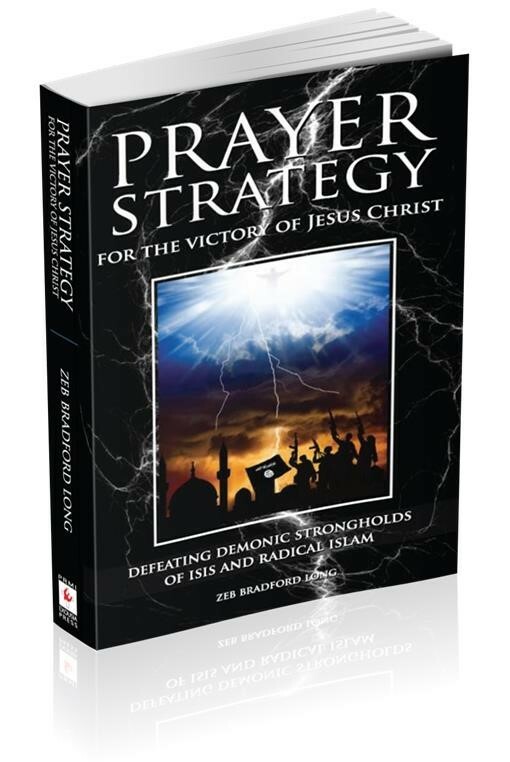 Book II, A Prayer Strategy for the Victory of Jesus Christ: Defeating the Demonic Strongholds of Radical Islam gives prayer strategies to cooperate with God’s plans to overcome these demonic strongholds. 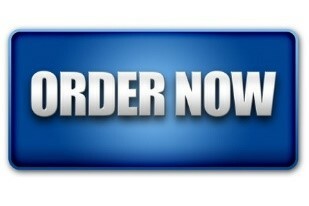 The purpose of these books is to take part in the Holy Spirit’s work of mobilizing, equipping, and deploying an army of intercessors for the purpose of defeating the works of the Devil and advancing the Gospel of Jesus Christ. Although both books focus on a specific issue, the principles given can be applied to many other spiritual conflicts. If you recieve any discernment about this situation in the UN as you pray, please pass it on. Thank you, Brad! This resolution is highly disturbing and your email clarifies well. I just returned from a superb prayer pilgrimage to Israel with Ben Torrey, so now I can enter into the dilemma with new understanding. Thank You, Brad and PRMI, Norma and Martin, and Avner I felt great urgency yesterday even before reading this, to fast and pray in these next three weeks, even more than while previously praying for the November election. Forgive USA, Lord, and please hold back Your natural disaster judgments..Confuse and disrupt Mr. Obama and his minions, and grant them repentance in the fear of God. Grant favor to Israel in upcoming Security Council votes, from unlikely sources who were caught by surprise by US abstention, from Therese May of Britain and even Vladimir Putin of Russia. Pre-emptively strike, O Lord of Hosts, as in days of old, in bigger ways than we can even imagine or ask, in Yeshua’s name, Amen. 1 My son, if you receive my words… treasure up my commandments…, 2 make… your ear attentive to wisdom, incline your heart to understanding; if you call out… raise your voice … you will understand the fear of the Lord,… the Lord … stores up sound wisdom for the upright; He is a shield to those who walk in integrity, 8 guarding the paths of justice and watching over the way of his saints. 21 For the upright will inhabit the land, and those with integrity will remain in it, 22 but the wicked will be cut off from the land, and the treacherous (or unfaithful) will be rooted out of it (or torn from it). From this I pray for Israel’s leadership. That they will seek wisdom from above. They are focused outward toward the world coming against them, but it is the wisdom coming into their hearts that will reveal and root out the evil from within. I sense that God is saying that there are those from within the boarders of Israel who are collaborating with those outside. These are the ones that need to be rooted out. But of course I pray that God will call and draw the leaders of Israel ever closer to His own heart, that they will seek after wisdom and understanding and find the knowledge of God that they need for this time. As I considered this situation, I thought of the book of Esther and Satan’s long-standing hatred of and longing to destroy God’s people. During Ahasuerus’ reign, the Lord rescued His people from great peril, not by doing away with the king’s edict (for the laws of the Medes and Persians were irrevocable), but in making a way for the Jews to defend themselves (Esther 8-9). May the Lord give those in positions of influence (and the rest of us) the courage of Esther and Mordechai to stand against evil and their desire to fast and pray and call others to the same (Esther 4:16). May God have mercy and bless..